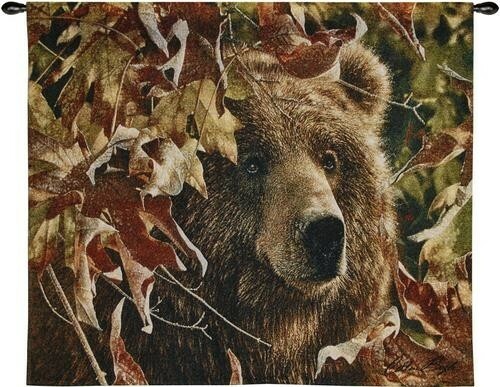 This stunning portrayal of a brown bear is brought to life by artist Colin Bogle. The realistic imagery on the Legend of the Fall Bear Wall Hanging is amazing. 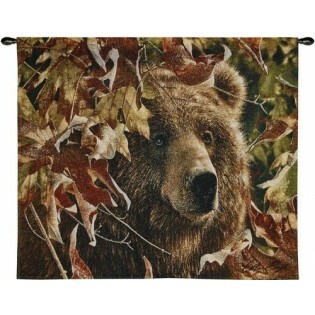 The bear is nestled on the lookout under a beautiful golden and orange fall screen of leaves. This would be a show stopper in any rustic home.